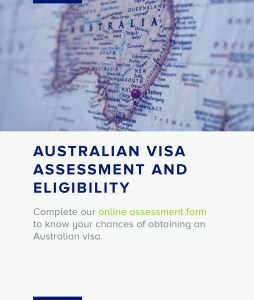 SeekVisa is here to help and guide you with Expressions of Interest, Skill Assessment applications, State or Family sponsorship, points test applications (subclass 189 and 190 visa) and subclass 485 Skilled Graduate visas. 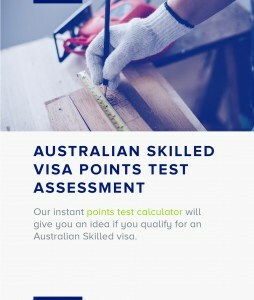 Am I eligible for a Skilled visa? Skilled-Regional (Provisional) visa (subclass 489):This is a 4-year provisional visa which allows holders to live only in certain areas of Australia. You would need to be sponsored by an Australian relative living in a designated area, or by a state or territory government. Temporary Graduate visa (subclass 485) :The Graduate Temporary visa is a work visa which can be applied for by international students who have completed a qualification taking 2 years of study in Australia. Skilled Regional visa (subclass 887): The Skilled Regional visa is the permanent stage of the Skilled Regional Provisional visa. To qualify for a Skilled Regional visa, you must live in the required region of Australia for 2 years and work full time there for 12 months.